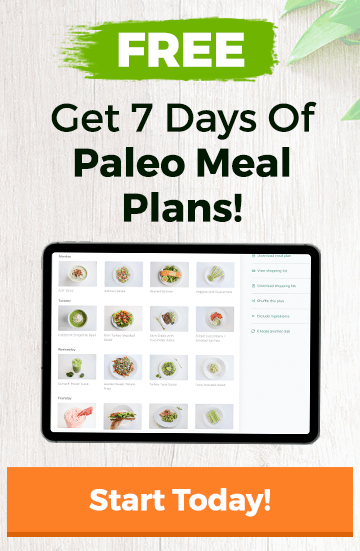 There are a lot of cool Paleo-friendly products out there. But Dry Farm Wines was a new one for me – Paleo-friendly wine. WHAT. High five for all my wine-loving friends out there! I, for one, did not know that this was a thing. But, as someone who enjoys a drink every now and then, I was pumped to learn about Dry Farm Wines. Consumed by populations dating as far back as 7000 BC, wine is actually one of the oldest beverages on the planet. So, if we’re following the traditional Paleo advice of “eat (and drink) as your ancestors did…”, then wine would definitely fall into that category. Outside of that, when talking about wine specifically, the beverage is actually said to have health-promoting properties. Moderate red wine consumption has been found to have cardiovascular protective benefits thanks in part to the procyanidins in the drink. Procyanidins are antioxidant compounds that are found in things such as fruit, chocolate, vegetables, tea, and, of course, wine. Light to moderate consumption of wine is also linked to better cognitive function. In general, “moderate” wine consumption constitutes 1 to 2 (5-ounce) glasses a day. So, there is evidence that wine, especially red wine rich in resveratrol, promotes health and can even extend life expectancy. All of that being said – I am definitely NOT saying that a healthy lifestyle includes the consumption of alcohol. But, if you subscribe to an 80/20 approach to the Paleo lifestyle, there are better options than others. Refer to our guide on alcohol if you want to read more. And when it comes to wines, not all are created equal. These are the wines that came in my box. What Makes Dry Farm Wines Special? Just like the modern food industry, wine production has become industrialized and modernized over the years. Compared to the wines of the past, modern wines are much higher in sugar, alcohol, and chemicals. That being said, some of the most knowledgeable Paleo experts in the world are fans of Dry Farm wines. Mark Sisson, Dave Asprey, and Robb Wolf all give the thumbs up to this wine club. But what sets this company apart from the rest? When it comes to actual wine making, Dry Farm wines only use wild native yeast fermentation. There’s no commercial yeast added like in more standard wines. There’s no (or only minimal) addition of sulfites and absolutely no chemicals additives used. There’s more to this wine club than just the wines though. Dry Farm Wines also believes in the importance of family farms. All of the wines they select come from farms that are committed to keeping the operation small and of the highest quality. Just because Dry Farm Wines believes in keeping grape growing and wine-making as traditional as possible, it doesn’t mean that they can’t employ modern technologies to ensure that their product is as clean as can be. 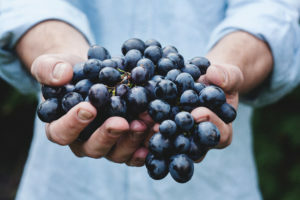 In keeping with the foundation of the Paleo diet, each wine is tested for fructose and glucose, and it’s ensured that each blend is <1g/L of total sugar – aka “statistically sugar free.” There is nothing added to or taken away from the wine, and the low (or no) sugar content occurs naturally. Before learning about Dry Farm Wines, I had never heard of mycotoxic Ochratoxin A. OCA is a type of mold that is a known carcinogen that can be found in wine. While there is a screening that is required in the EU for OCA, there is no test required for U.S. wines. All of the Dry Farm Wines are free from OCA. It turns out alcohol labeling on U.S. wine bottles doesn’t necessarily have to be accurate. Basically, a brand can claim whatever alcohol they want on a label because there’s no real enforcement from the government. Interesting, eh? Dry Farm Wines ensures that each included bottle doesn’t have more than 12.5% alcohol. No sketchy techniques are used to get that 12.5% either. That doesn’t mean that you won’t get a buzz though! You’ll just get a better, more energized, clearer effect with not so much of those hangover effects. Less next-morning wine headaches are a great thing, right? All of Dry Farm Wines are have no or minimally added sulfites. There tends to be some debate around sulfites and their impact on health and taste. With these wines, there won’t be more than 75 parts per million of sulfites. Dry Farm Wines uses blood monitoring to ensure that their wines don’t change blood sugar levels and have no compression impact to ketone production. The wines are friendly to Paleo, Low/Slow Carb, Sugar Free, Carb Free and Ketogenic Nutritional programs. So, now you know that they are committed to providing wines that are traditionally made and thoroughly tested, but you’re probably wondering how the whole club works. 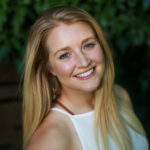 You can order 6 ($159/month) or 12 ($299/month) bottles, and the team at Dry Farm Wines handpicks a unique batch of wines based on taste preferences, supply, and wine personalities. Each time you order, you get to try new, all-natural, organic wines. These are shipped right to your door. It’s worth noting that this wine club is only available to people with the U.S. If you live in another country and are interested in this service, you can subscribe to their newsletter to be notified when international shipping becomes available. 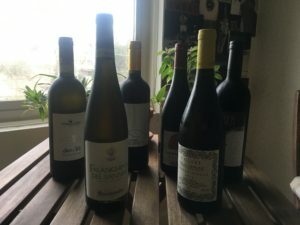 You can also check out http://www.rawwine.com for finding natural wines in your area. I definitely enjoy my fair share of wine (all in the name of health, right?). I’ll be honest, though, as soon as I turned 25, I started noticing that if I drank wine at night, I’d sleep poorly and wake up the next morning with a dull headache and dying of thirst. For that reason, I basically stopped drinking it at all. I don’t consider myself a connoisseur of wine by any means, but I really loved each bottle that was included in my Dry Farm box. And, even more important to me, I didn’t experience ANY of those negative symptoms. I shared my bottles with a few friends, and each of them said the same thing. They loved the taste and experienced no lingering headaches or poor sleep. I think it’s awesome that a company is so committed to, not only providing an outstanding product, but also one that achieves optimal health status. If you’re a wine lover committed to sticking with a Paleo/ketogenic lifestyle, or just someone who appreciates a thoughtfully-made, clean wine, I’d highly recommend Dry Farm Wines.